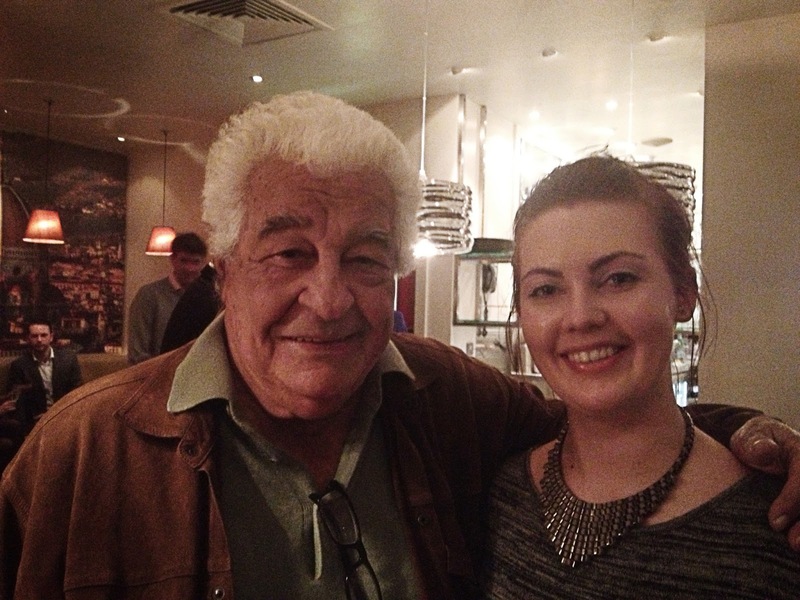 Earlier this week I was lucky enough to be invited to an evening of prosecco and canapés with Antonio Carluccio at the re-opening of his Putney restaurant. A huge fan of Italian food and regular viewer of Two Greedy Italians I was, of course, extremely excited. This all came about at quite short notice so I hadn’t really had much time to think about what the evening might entail and didn’t know at all what to expect. I turned up at Putney Wharf and was greeted by exceptionally friendly and helpful staff, had my coat checked in and was offered a glass of prosecco. The riverside restaurant has recently undergone a bit of a refurb and is looking smart. Situated in Putney Wharf the dining room overlooks the Thames and the restaurant boasts a considerably large terrace perfect for al fresco dining when the weather warms up a bit. I’ll definitely be coming here to share dinner with friends in the sunshine. Canapés were generously handed out and included a variety of different types of arancini, parma ham wrapped bread sticks, courgette mozzarella and sun dried tomato parcels, bacon wrapped prawns and olives. Every single one of these was delightful and I lost count of the number of arancini I ate. The parma ham was excellent and really melted in the mouth but I think the courgette parcels were my favourite. All the while my glass was never allowed to empty! 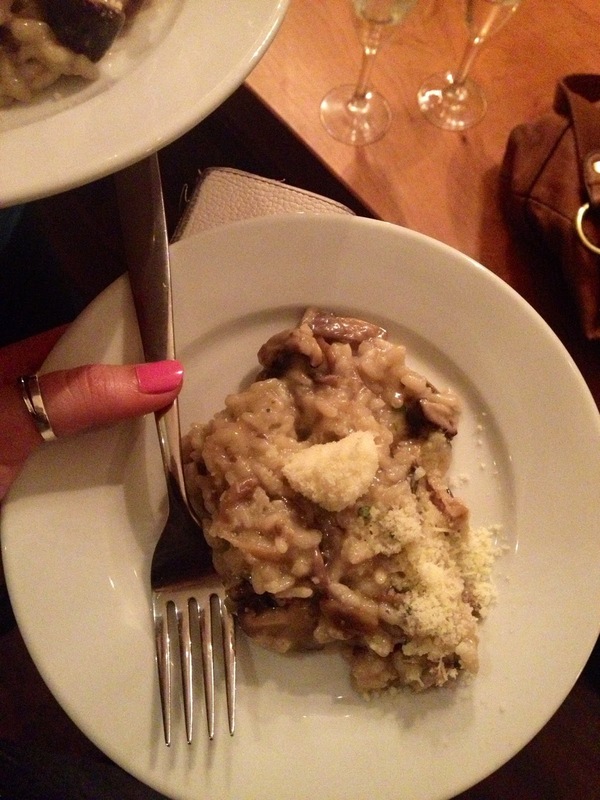 After the main man gave his speech and welcomed us all to the restaurant portions of mushroom risotto were handed out. I could live on this stuff it was so gorgeous and I’m not sure what type of mushrooms were used but they were really delicious and perfectly cooked with a nice bite to them. My only complaint is that I wish I’d had more! Fruity pastries were handed out after the risotto had all been gobbled up and I finally took my opportunity to have a chat with Antonio Carluccio himself. Such a sweet man, Antonio had time for everybody who stopped him for a chat, a photo or to sign a book and made me feel very welcome. Thanks so much to Antonio Carluccio and all the staff at Carluccios in Putney for inviting me to come to this taster of their restaurant and for laying on such an enjoyable evening, I’ll be back soon!